More info:Plus local payment from USD 580. 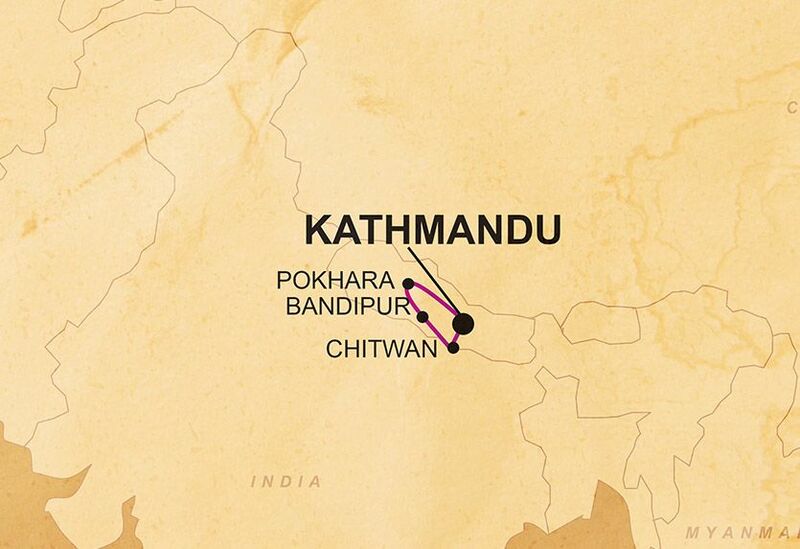 This trip aims to visit off the beaten track parts of Nepal. Historic Nuwakot is one of Nepal’s hidden gems, offering travellers the chance to experience authentic village life. From our eco-lodge in the Annapurna region, we will meet many of the locals and really get into the heart of the community. We aim to visit a local school and give something back to the local community by helping out with various sustainable development projects. The little town of Bandipur, once a commercial centre along the trade route to Tibet, is a fantastic example of traditional Newari culture, and we aim to help protect it, and not to exploit it during our time there. We are dedicated to minimising the effects our trips have on the environment, and are committed to ensuring that we have a positive impact on the local communities we travel through. In order to minimise the impact of our presence on the wildlife and ecosystem of the areas where we travel, we explicitly forbid any involvement in activities that harm or exploit animals, and advise our crew in specific activities to avoid in this regard. We believe that local culture and communities must be an integral part of our trips. We recognise that we are guests of the local communities we travel through and strive to make these communities into our partners. On this trip through heritage Nepal, we will be travelling overland using our specialist overland vehicle, thus cutting out the need for air travel and reducing carbon-emissions. Going overland (by car and on foot for excursions) means you get to explore places which are off the beaten track. Wherever we are in the world, we prefer to use smaller locally-owned businesses, ensuring that local communities gain a direct economic benefit from our business, for example, we use small locally owned hotels, campsites and activity providers wherever possible. We use a responsible local operator that provides training and employment to many local people as guides, providing them with stable employment in the tourism industry.